Golf Ball position is very important to consistent golf. There are many theories about ball position and given dichotomy of these theories, it can be difficult to determine which is best for you. At the end of last season, I struggled off the tee with my driver and I attribute it to my ball position. I know all the theories and I tried most of them, but nothing seemed to work! I am not sure if it was a mental block or what, however I think I made a break through tonight at my indoor golf league! At the Toronto Golf Show I received a 10-minute lesson. I chose my driver as the club of focus because of my recent struggles. My teacher, Kyle, notice that my ball position was incorrect. I was playing the ball too far back in my stance, so over the past few weeks, I focused on keeping the ball just forward of my left heel during my set up. Depending on who you watch, read or talk to, this position may not be right. I recently watched a video by ‘The Golden Bear’, he would tell me to play the ball just behind my left heel. Unfortunately, the advice from the greatest golfer of all time does not work well for me. Then, I found a video by Justin Rose. His quick instructional video on ball position was exactly what Kyle was telling me just a few short weeks ago. I know this new ball position works well for me because of this weeks results. My longest drive was 270 yards and I averaged 252 yards over the 14 holes that I used my driver. Additionally, I did not sacrifice any accuracy. I hit 10 of 14 fairways. I realize that I was indoor and that the actually distances may not be completely accurate, however I felt confident each time I hit my driver and that has not happened for some time. One other important aspect about my journey is that it took me time to find the proper combination of ball position and swing. I had to experiment to find the solution that fit my game and then stick to the solution that provided the best results. Therefore, my advice to all aspiring scratch golfers is to listen to advice from professionals, but to take ownership of the changes you are trying to make. Take chances, on the range, and do not be afraid to try different things until you find the solution that is best for your game! I agree. I continue to work on my swing to keep the ball in that position. Always fun keeping things working. Solid advice here, and I’m glad to hear you turned a corner with the driver! I like my ball position to be off my front heel, however, sometimes when it feels like I’m playing it there, it’s not actually there. Like you, my tendency is to let my ball position migrate too far back, so it’s something I need to work on. Glad this advice was helpful. It is amazing how easy the wrong things creep into our game. I hope you are ready for spring! 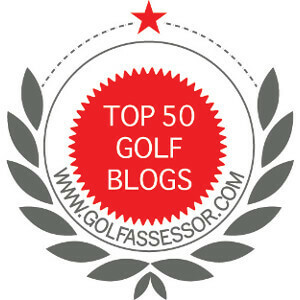 Jim – I am getting there, some courses are opening on full greens already! However, I might hold out for some better conditions and/or till my home course opens. How close is your course to opening? We are about 2 weeks away for the first course to open. I think about 3 for my home course. Hopefully time will fly by! Here is to an earlier spring. Good advice Jim. Glad you got the driver kinks worked out. It’s nice to be able to fix something in the off season and then implement fresh. Thanks for the support. I am looking forward to hitting the links for real! Now that I think I have my driver fixed, the start of the season should be fun.